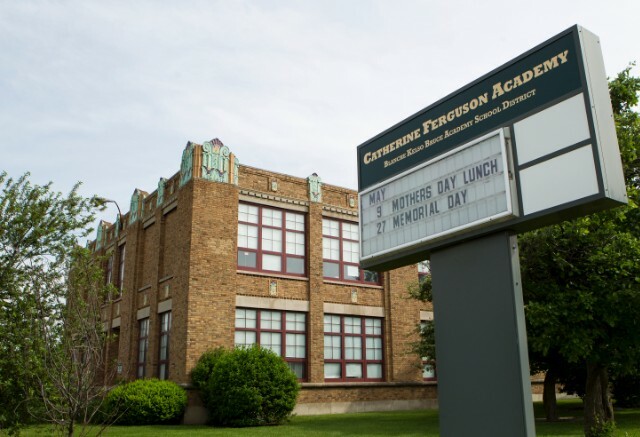 Detroit, Michigan (CNN) -- A winter's thicket of weeds still choked the soil outside Catherine Ferguson Academy late last month when the old school's loudspeaker crackled on. "Good morning, good morning, good morning," Principal Asenath Andrews belted out. "It's a bright, sunny, ready-to-garden day!" For decades, this is where Detroit's pregnant teens and young mothers have come to earn their diplomas. It's the only school in the city that gives them space to study while their babies are cared for just down the hall. For the 100 students at Catherine Ferguson, high school diplomas are the minimum expectation; college acceptance letters are the aim. It has a reputation for academic rigor and comprehensive study: Students might spend afternoons on internships, weeks traveling overseas and hours working small plots on the school's farm. On the walls, there are posters encouraging condom use, photos of newborns and beaming images of Catherine Ferguson graduates, all in their gowns, caps and tassels. "Remember," Andrews signs off her morning announcement, "smart is what you get, not what you are." Girls trickle outside, grumbling about the heat and mess of the farm, but intrigued by the seedlings of basil, arugula and cabbage. They fling handfuls of dirt at each other as they paw through a season of overgrowth. Over the years, the school's abandoned playground evolved into a spread of apple trees, honeybees, chickens, goats and garden plots -- creatures and greenery tended to by students and a pack of volunteers. "You did not tell me there were going to be spiders in this dirt," a student recoils, then leans in to study the egg sac one spider carried. Another student cracks that a classmate -- wearing oversized gloves, slicing through roots with the pointed end of a shovel -- "looks like a man." "Don't you ever say that," the principal swoops in. "She's a competent woman. Just because she's good at something, she's a man?" A few minutes later, a rumble of voices emerges -- a chant to a beat, too faraway to distinguish. This area is usually quiet; there's a dental school, a Salvation Army center, a few old homes, empty lots scattered with bricks and glass. As the voices get louder and clearer, the girls look up from the garden beds, distracted and confused by the people on the other side of the high chain-link fence -- about a dozen protesters in red shirts carrying signs for the civil rights group By Any Means Necessary. It's a demonstration prompted by CNN's presence, the group's organizers said. 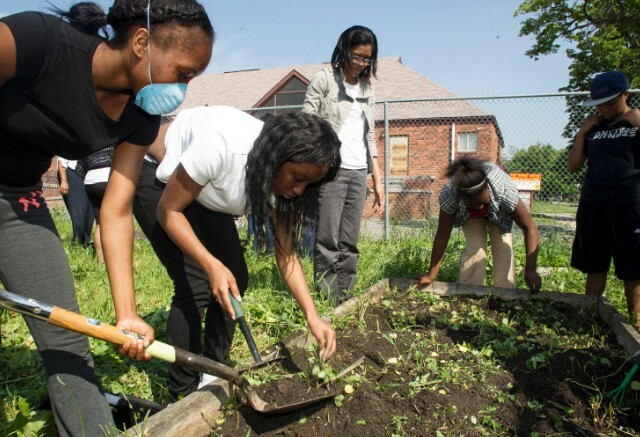 Students weed raised beds and plant vegetables and herbs they'll later use to prepare meals. The tinny yelp from a megaphone leads voices they know -- current and former students -- shouting from the sidewalk to their peers in the garden: "Equal education is our right." They are protesting a new curriculum at the academy and want to see it return to a more traditional high school. From state to state, school district to school district and even inside the walls of Catherine Ferguson, there's no agreement on how best to educate teens who are pregnant and parenting. Only 40% of teen moms finish high school; less than 2% finish college by age 30, according to national figures. Teen birth rates have declined most years for the last two decades -- dropping about 25% just from 2007 to 2011. But such girls still face challenges: punitive absence policies, a lack of child care and transportation options, and teachers and administrators who discourage them from attending school, according to a 2012 report by the National Women's Law Center. According to the center, no national database tracks what happens to pregnant teens: Where do they go to school? Do they graduate? What happens once they do? Few states have laws about how to handle them, and districts might not even realize what their obligations are. This week, a U.S. Senate committee is debating an update to the country's expansive education law -- including, for the first time, a call for better data and school plans that address pregnant and parenting students. The proposal has a long way to go before passage, if that even happens. There aren't many schools like Catherine Ferguson in the United States, and several have shut down in recent years because of tight budgets and questionable quality. Some offer academically rigorous standards and services like child care, but others offer "no meaningful educational opportunities," the National Women's Law Center report said. With little data to study, with no experts to guide them, Catherine Ferguson Academy long operated by instinct, Andrews said. She believes it's up to schools to work around the poor excuses, tragic reasons and broken systems that keep a young mother from getting an education. Teach her, yes. Then feed her, heal her, keep her safe. Make her a better mother, but let her be a teen, too. Remind her she's beautiful. Insist that she own her situation and show her intelligence. Get her out of her neighborhood -- her home, her homelessness -- even if for just a few hours. The protest against the new curriculum last month was hardly the first challenge Catherine Ferguson has faced. It took feverish self-promotion and the work of "guardian angels" high up in the Detroit Public Schools just to open the academy nearly 30 years ago. It felt like the same fight in 2011 when the Detroit Public Schools shut it down, saying the district lacked the funds to keep it open. District leaders said some pregnant and parenting teens were already attending the city's other, traditional high schools -- why couldn't these students? Hundreds protested. Students were arrested during a sit-in at the school library. Almost immediately, the academy was reopened as a charter school -- an ending that students and teachers celebrated. 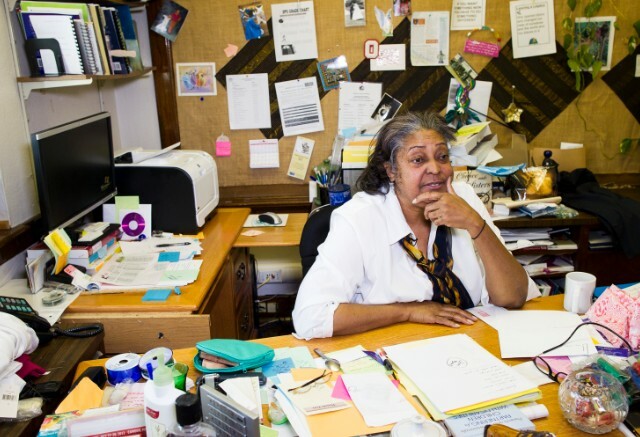 Asenath Andrews has led Catherine Ferguson Academy for three decades. But since then, much of the staff has changed. Enrollment is down. Recruitment is tough; many heard the school closed in 2011, but not as many understood it reopened under new management. When it exited the Detroit Public Schools, it lost its clearest connection to pregnant teens. Now, Catherine Ferguson has turned to handing out goody bags to new mothers in local maternity wards. The school's new curriculum this year changed the structure of students' days and focused on personalized learning -- a shift that confounded some teachers and students. They're fighting back with marches and a lawsuit, and say the school population is shrinking because of the new learning model. The disagreements and uncertainty frustrate the students, teachers and Andrews. But then, educating a girl who's raising a child wasn't easy when Andrews started 30 years ago, either. In Detroit, Andrews says, the idea has been ignored and insulted, lost entirely in social stigma, political infighting and information voids. "We've had detractors, we've had enemies, we've had slings and arrows," Andrews said. "Lots of people think, 'Forget it, if they don't finish high school, so what? They're just throwaways.'" For girls, Andrews said, "the struggles are the same. The world is a harder place." The Detroit of Asenath Andrews' childhood hardly resembles the one where most of her students live now. The family farm along 8 Mile Road lined her grandparents' basement with preserved vegetables, tomato sauce and jam. In the 1950s and '60s, dozens of cousins lived within walking distance and gathered every Sunday for dinner. Andrews' parents split shifts at the Dodge plant so one of them always could be home with the kids. The boundaries of right and wrong seemed clear, and she and her siblings knew when they'd crossed one: "That's not what Andrews kids do." Andrews' parents hadn't gone to college but dangled its promise before their children -- they expected, assumed, planned that their children would go. "In school, everybody knows who the smart kids are, and I was smart," Andrews says. "We were never taught to be stuck. I was so tired of hearing 'Look it up.'" Just as planned, she entered Olivet College, a small liberal arts school in mid-Michigan, in the late 1960s. She studied psychology and art, occasionally trading paintings for rent. Before she finished, she tacked on a teaching certificate, believing she might someday home school children of her own. It led, instead, to a job teaching elementary school art in Detroit. She was the youngest person on staff, all bangles, braids and wild ideas. She painted hopscotch through the hallways and pulled kids from their desks to build sculptures in the snow. She relished the support of the principal, who saw them at work and told her, This is how school should be. She realized her role was to teach other people's children. Simply, "school is for kids." She never had any of her own. 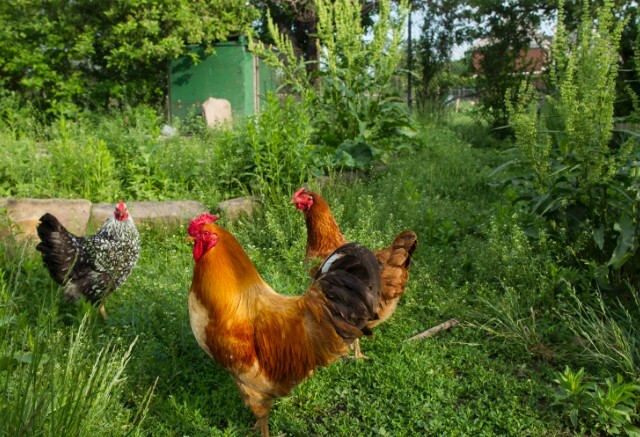 The school's 2-acre farm has been home to chickens, rabbits, goats, bees and even a horse. After years working with gifted students and managing art teachers around the district, she was pitched the idea of working with a little-known program for pregnant girls. 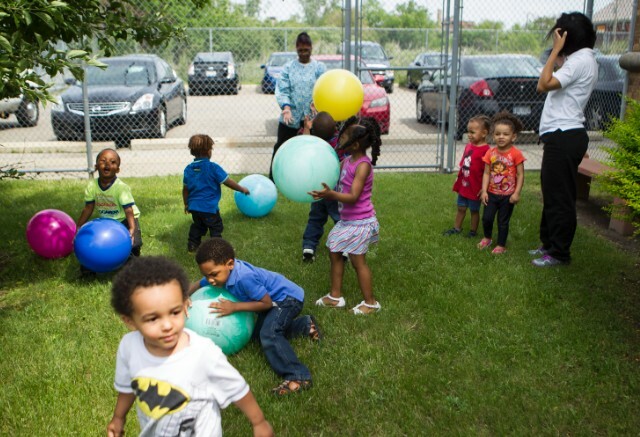 For years, it had operated inside a Salvation Army building near the Detroit River; it was designed to keep the girls until they delivered their babies, then send them back to school as if nothing had changed. It was well-meaning, Andrews said, and it was a failure. For all the work teachers put in, young moms still weren't graduating. "Our girls were coming back saying 'I'm in regular school now, I'm starting to mess up,'" she said. "'My child care is falling through and I can't go.' 'That same crowd that I was hanging with that was getting me in trouble? I'm back with them.'" What Andrews wanted was a school, a whole building, just for her girls -- a school flexible enough to fit their lives and lead them to graduation. The idea seemed almost as far-fetched then as it does now. As far as Detroit school leaders were concerned, "getting pregnant is no different from knocking over a liquor store," Andrews said. Reward girls with special treatment, she was often told, and everyone will be getting pregnant. That idea, she said, is "patently absurd." She believed the lesson from her own childhood still applied: "Kids pretty much do what you expect them to do." What happened next is the stuff of school lore: One day she was walking with a group of pregnant students when they spotted a solid brick building with big windows and bold flourishes ringing the top -- a onetime elementary school named for Henry A. Chaney, Detroit's first public library director. A few of them boosted a girl inside, who propped open a door to let in the rest. They wandered from room to room, re-imagining the auditorium's small stage, the library fireplace, the lawn that stretched around it, all the vacant classrooms. The police officer who arrived was less impressed by their vision. He handcuffed Andrews but decided to let her go once he considered her youthful, pregnant accomplices. Andrews pressed her campaign for a school -- inviting the superintendent to breast-feeding workshops and baby showers. She hung holiday decorations with her program's name outside Chaney school and found ways to make district leaders drive past. She pleaded and lobbied and argued until finally Andrews and her idea moved to the little brick school on Selden Street, where they've remained since. The academy grew from a Salvation Army hallway to this former elementary school. In the school's early years, students voted to name it after Catherine Ferguson, a slave who worked to buy her freedom and went on to educate and find homes for children on the streets of New York. There's no tuition. It is now and has always been free to attend. In fact, the school pays for bus tickets and cab rides to keep girls coming. Inside one classroom, there's none of the usual chatter. It holds parenting classes and doctor's appointments on site. There's a table of baby clothes by the door -- take what you need, give what you don't. Catherine Ferguson's in-house currency, CFA bucks, rewards punctuality, proper uniforms, great ideas or improved grades; students can use it to buy notebooks, pens, mascara, nail polish, even diapers -- by far the school store's most popular item. Some of Andrews' plans have worked -- a four-day school week that gives girls time to manage their outside-of-school lives, the shift from semesters to quarters so a girl who gives birth won't fall so far behind. Some failed, like starting the school day later in hopes of improving punctuality and a short foray into admitting young men. Her choices are more intentional than instinctual now, she said, but the school is still evolving. It sometimes takes years to know whether something works. Take her latest plan, which shifted the academy from a more traditional high school -- where students change class ever hour and take courses in English, math, science and the like -- to what's described as Big Picture Learning. It calls for students to design their own curriculum and projects based on their interests and career possibilities and find related internships in the community. With the new learning model, which Andrews borrowed from a nonprofit, no two students' school days look the same. In one classroom last month, students worked quietly at computers -- one researched graphic design, while another created a presentation about parenting, and still another filled out a job application. One girl studied a piece of sheet music from behind a keyboard. Andrews said she implemented the new learning model in part because it works for students she sees more often -- girls who struggled in traditional schools or have gaping holes in their transcripts. Students are able to take more time on subjects they struggle with, while other students are able to graduate early. She said the new model formalizes elements her students were already learning from, such as internships. She admits there were mistakes in the program's first year: The school needed more teacher training and buy-in. Students and parents needed a better orientation program. Cold calls weren't the best method for placing students in internships. 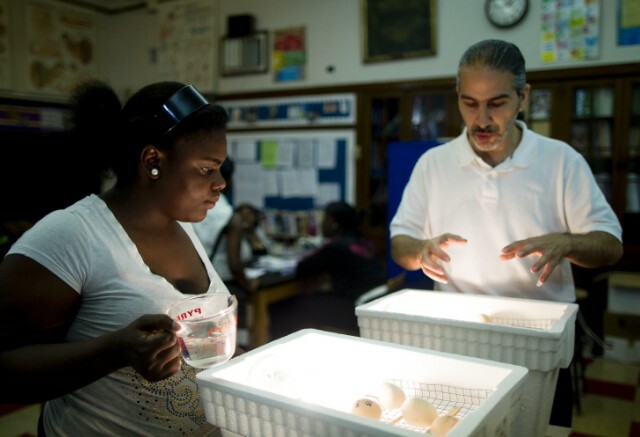 Incubating eggs is part of the curriculum at Catherine Ferguson. She says they've already started to address some issues and will do more in the coming school year. But for some students, it's already too late. Students said some of their friends left out of frustration -- they weren't sure what was expected of them and didn't have enough guidance. Some students and teachers complained they missed group discussions and the familiarity of a traditional curriculum. Andrews said the new curriculum wasn't a result of the school's 2011 shift from public to charter. Instead, it was designed to be able to help more girls in different stages of their education. 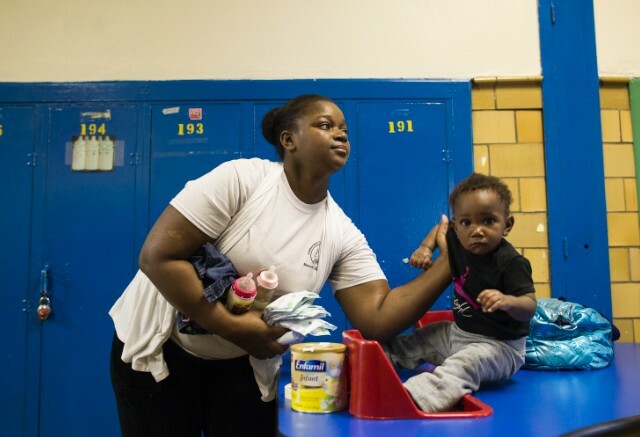 Teen moms don't tend to leave the academy when they're just a credit or two shy of graduation, or even when they're struggling academically, she said. Rather, it's in their first 30 days -- when a girl who just gave birth adjusts to late nights with a hungry infant, or when a girl who had dropped out returns to the benevolent tyranny of a school schedule. If she can't see a clear path to graduation, if she's overwhelmed by a system that doesn't reflect how her life has changed, you lose her, Andrews says -- to the street, to a dead-end job, to just sitting at home. Spark her passion and show her all the reasons she has to fight? She's yours. "In other countries, we scream at people about throwing away girls, how they kill girl babies. Well, we kill girl babies, too, we just kill them slowly," Andrews says. "We take away opportunities for them to go to school, we don't provide opportunities for girls who have babies, and it is a slow death. "Poverty is a slow, painful death." In her first semester at Detroit's Communication and Media Arts High School, Darshea White liked math classes, JROTC and running cross-country, but she didn't have many friends. Her family had moved around a lot. She was a smart girl with not-so-nice clothes, she said: a magnet for bullies. She was petite and rail-thin -- they could tell just looking at her that she wouldn't fight back. When she got pregnant her freshman year, she felt even more anxious and isolated; it seems crazy to her now, she said, but she really believed she was the only soon-to-be teen mom out there. Her mother took her to Catherine Ferguson, where a security guard greeted her, chatted with them, asked Darshea's age. She was 14. Just saying so was her cue to feel ashamed. While mothers work toward their high school diplomas, their kids are cared for by early education staff. 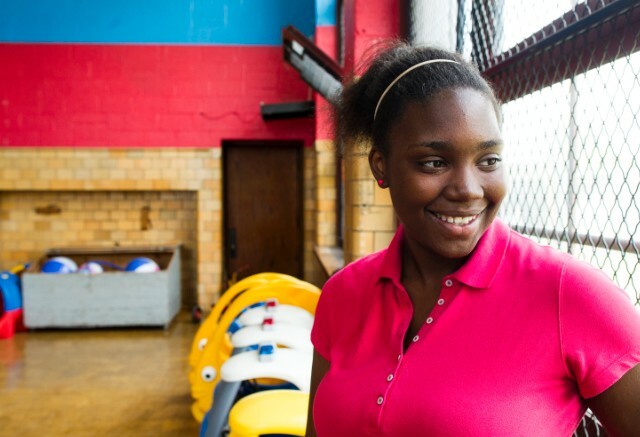 "The first thing I did was hang my head low," said Darshea, now 16. "(The guard) told me 'Don't hang your head. Lift it up. There's a lot of people going through the same situation.'" That moment in January 2012 was when she first fell for Catherine Ferguson Academy. She was quiet, there, too, but people were kind. Her classmates taught her what to expect as a student and parent. She liked Ms. Andrews, the teachers and the people who would care for her son. For the first time, school was a peaceful escape -- just going class to class, earning good grades and counting the credits toward graduation. "I thought, 'I'm still going to regular school even though I'm a teen mom," she said. Her baby, Jasiah, was born August 28, 2012; Darshea was back at Catherine Ferguson just a few days later -- sleepless from breast-feeding, terrified, in love. Her first weeks as a mother were also the first weeks she learned about Big Picture Learning. It overwhelmed her. She didn't understand it, and she wasn't sure the teachers did, either. She couldn't find the required internship. Her major project the first quarter -- research about why there are more African-Americans in the prison system --- earned her an "incomplete." She missed the familiar comfort of classes, of raising her hand and asking a teacher instead of searching the Internet for an answer. She doesn't have a computer at home, she said, which makes it hard to do homework. Students who struggled even more with school began to leave, she said, and the empty classes put everyone on edge. "I just broke down crying because I didn't know what to do, and teachers were telling me, 'Don't give up, you can't get anywhere without an education,'" Darshea said. "I know that I want to have a successful future for myself. "College is the way to go. I could give myself a successful life and future if I could just do that." But for the first time since she'd come to Catherine Ferguson, she could feel her future slipping away. One of the academy's teachers, Nicole Conaway, told Darshea about the civil rights group By Any Means Necessary and its desire for Catherine Ferguson to return to a more typical high school curriculum. Conaway, a member of BAMN, encouraged Darshea to get involved, too. The student wasn't usually one to speak up; activism was new to her. But the school had already taught her how important it is to fight for what she needs. "It was a hard decision for me. I really like Ms. Andrews. I know she thinks I'm a bright student, and I look up to her," she said. "I feel like we should have classes -- do I get what I think I want and deserve as a student in the city of Detroit, or do I continue receiving what someone else wants me to get?" After Kathleen Wilkerson graduates in June, she is considering joining the military. Jasiah, with his head of tight curls, and goofy smile, helped her decide, too. "I have to be something in life now," she said. "I have someone that's looking up to me and that I have to take care of." Last week, when By Any Means Necessary filed a lawsuit in federal court, Darshea was among the plaintiffs. The lawsuit was filed against Catherine Ferguson's charter operator, Blanche Kelso Bruce Academy; the school's charter authorizer, Wayne County Regional Education Service Agency; and the heads of those agencies. It also names the Detroit Public Schools and its emergency financial manager. They did not return phone calls, or said they could not comment on the lawsuit. The suit alleges that Catherine Ferguson students are being discriminated against because they're receiving a "grossly inferior" education after the switch from a "traditional, comprehensive" high school curriculum. The lawsuit alleges the school eliminated some state-mandated courses, has "done away with all classes, ordered teachers not to teach classes" and does not employ certified teachers in subjects including math, physical education, music and health. It describes how students seeking credit in certain areas are given packets of work to complete during the semester, and if they're not completed correctly, they receive no credit; how students don't change classes throughout the day, but receive instruction during short weekly meetings with teachers, "now known as 'advisers.'" "The actions of defendants have degraded the education at CFA in a way that stigmatizes and punishes these young women for being pregnant and having children," the lawsuit said. Andrews' response: "I would never do anything I felt downgraded the students, and particularly the students I have spent 20-plus years supporting and building." Despite the lawsuit and protest, Darshea said, this school year hasn't been wasted. She's learned a lot about time management, and the new learning model helped her zero in on a career: After she graduates next year, she'd like to attend Wayne State University in Detroit to become a pharmacist. But she's stressed by the volume of work remaining and whether she's learning the material she needs. She's a diligent student who's open to change, who won't quit, she said -- but she wonders, what about her peers who might need more guidance or have already given up? "Maybe if we were always taught in this form, it would be different, but getting taught one way and being told to do it a different way is kind of hard," she said. "I'm already in this big change because I just had a baby, and now this big change of how to learn?" Just a few days after the gardening day protest, the loudspeaker at the school comes to life again. It's Andrews' voice, demanding that a fictional student report to her office. Teachers and staff understand immediately what that means. They clear the hallways and close the doors. The school is in lockdown. Mothers drop off their kids in the morning and sometimes breastfeed them during the school day. It's a drill, as much for nerves as for practice. Over the weekend, volunteers arrived at the little red barn beside the school and discovered a gruesome scene: Eight dead chickens and five dead goats. More animals were wounded. A cat was missing, and soon found dead. Early reports said the animals were bludgeoned, stabbed, slaughtered. Andrews said it was a like a bad movie; the school has hardly had graffiti trouble, let alone a violent crime. When students returned that Monday, investigators still hadn't announced who or what they suspected caused the carnage. Grief counselors and psychologists were on hand. Andrews herself was supposed to be out of the office that day, but as the principal, she needed to be there. She wants the girls to know this school is a safe place. The animals belonged to the girls, she said, and the girls belong to her. "We will never, ever, as long as I am here, let evil try and foil good. And what we do here are good things," Andrews said. "If they burn the joint down, we'll start someplace else." When Darshea heard the news, she thought of how she was supposed to be working on the farm the day the animals died -- a job the students canceled because of rain. "All I could think about was 'That could have been one of our students that got hurt,'" she said. "This is the school I go to and take my son to every day. I couldn't even sleep the rest of the night." Soon, Darshea began to see Facebook posts suggesting that By Any Means Necessary's protest was somehow linked to the deaths on the farm -- a charge the group's members deny. The Michigan Humane Society, which handled the investigation, later determined the animals' wounds were consistent with dog bites and said there's no evidence humans were in any way involved in the attack. Since the protest, lawsuit and animals' deaths, classmates sometimes tell Darshea they agree with her position, that they'd like to see the school change back to its old self. But few are willing to sign on to the cause; they're afraid they'll be suspended or kicked out. Darshea says she doesn't worry about it. She remembers what Andrews told students after the protest and animal deaths: that people are entitled to their opinions and their voice. Other students wonder why kids involved in the lawsuit stay at the school at all. Darshea said she believes in this school more than any other she's attended. She intends to be a Catherine Ferguson graduate next year. "I know I haven't done anything wrong," she said. "I haven't done anything beside voice my own opinion." After all, this is a school with a long history of standing up for girls, of showing them how to be strong for themselves and their babies -- even if they have different ideas about how to do it. "The whole experience has been a good thing for me -- from getting told that being pregnant young doesn't mean your life is over, to my fight to get classes back," Darshea said. "Going there, to that school, really made me a different person than I was before." Photos: The girls' stories from "Girl Rising"
The school year started with a shooting. Now, Malala eyes a summer of speaking at the U.N. and telling her story in a new book. One girl with courage is a revolution. CNN Films' "Girl Rising" tells the stories of girls across the globe and the power of education to change the world. What a queen, a correspondent, an activist and an actress have to say to girls everywhere? Read their open letters. What would you say to girls everywhere? Less than half of U.S. teen moms graduate high school. And the lack of opportunities is a slow death for them, one principal says. Are you inspired to help the cause of girls' education around the world? Get more information about CNN Films' "Girl Rising" as well as the latest news and global voices on the topic of girls education.